Lexicomp® Mobile Apps — the medication decision resource pharmacists trust. 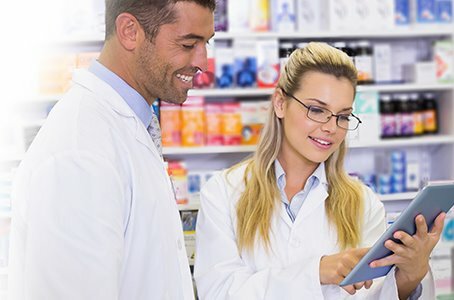 As a pharmacist, you work in a fast-paced setting, quickly preparing and dispensing prescriptions for patients. Lexicomp provides critical answers to medication-related questions with exclusive tools and databases featuring continuously updated information on drugs, dosing, interactions, and more. Essentials Package: offers mobile access to the two most popular Lexicomp resources — including core drug content and our interactive drug interactions tool. Save 15% with the promo code DTM15. Professional Package: provides mobile access to Lexicomp core drug content, including drug information specific to pediatric and neonatal populations, plus several interactive medication safety tools, like our drug interactions and drug ID tools. Save 15% with the promo code DTM15. Premium Package:* includes mobile access to a greater depth and breadth of specialized Lexicomp content, PLUS full online access to all included Lexicomp databases. The base Premium package offers access for up to two users, with the option to add up to 8 more users for an additional fee per individual. *Offers expire 3/31/2019 (11:59 p.m. EST); terms and conditions apply. These offers are applicable to those who have never subscribed to Lexicomp. Offers are not valid for prior purchases. Offers are not valid for cash or with any other offers. Prices and offers are subject to change without notice. Taxes are additional. Package discount only applies to the Lexicomp Essentials and Professional packages; the Lexicomp Premium Package is excluded from this offer. Offers are nontransferable. Offers are subject to availability.